Nonprofit organization Patients for Affordable Drugs Action plans to start its first ad campaign Friday to take aim at California Democratic Rep. Anna Eshoo. The ad campaign is “the first time the group has targeted a Democrat” rather than a Republican, reported Axios. 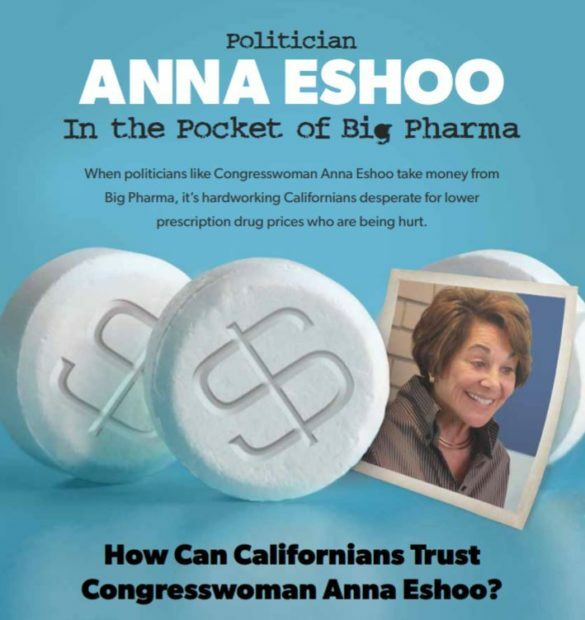 Patients for Affordable Drugs Action (P4ADAction) is spending $500,000 against Eshoo ahead of the Nov. 6 general election, citing that her campaigns received more than $1.58 million from the pharmaceutical and health products industry over the course of her decades-long career. 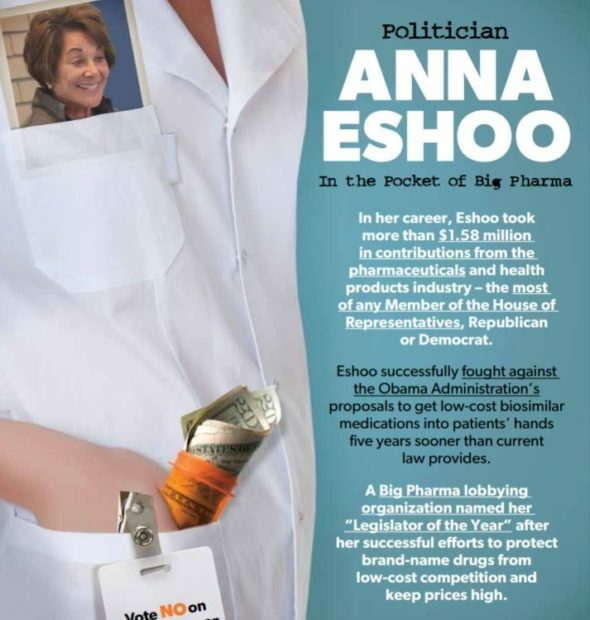 Eshoo has received $116,450 in campaign contributions so far from the pharmaceutical and health product industry during the 2017 to 2018 election cycle, according to OpenSecrets.org. Eshoo’s campaign’s “top contributors include individuals and PACs connected to Johnson & Johnson,” which has given $139,400, Keeping told TheDCNF. Eshoo is being challenged by little-known Republican Christine Russell to represent California’s 18th District, which includes Silicon Valley. Eshoo received 73 percent of votes and Russell received 23 percent in the district’s all-party top-two primary June 5. Eshoo’s office deferred comment to her reelection campaign team, who did not respond to The Daily Caller News Foundation’s requests for comments at the time of publication.